Our product range includes a wide range of global positioning system (gps), gps etrex 10 system and hand held gps extrex 20. We are engaged in manufacturing and supplying of Global Positioning System(G.p.s.). This is a satellite based system used in Cellphones and Metereological Forecasting. 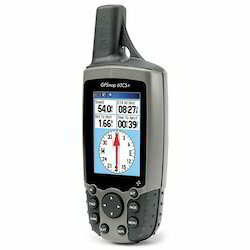 A handset GPS system provides exact location about a place or city. Signals of satellites reaches into the handsets and other wireless systems through GPS receivers. Forecasting of weater conditions are done by metereological department with GPS receivers. 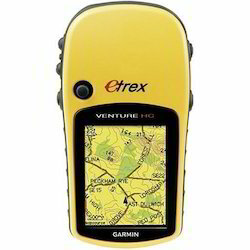 Features:Perfect for outdoor enthusiasts on a budget, eTrex H comes with a high-sensitivity GPS receiver that locks onto satellite signals quickly and maintains accuracy — even in the toughest conditions. And just like the popular eTrex, this little yellow wonder combines an intuitive interface and a rugged exterior into a lightweight handheld that fits in the palm of your hand. 1)Enjoy Clear Reception-With its high-sensitivity, WAAS-enabled GPS receiver, eTrex H locates your position quickly and precisely and maintains its GPS location even in heavy cover and deep canyons. The advantage is clear — whether you’re in deep woods or just near tall buildings and trees, you can count on eTrex H to help you find your way when you need it the most. 2)Built for Adventure -You can operate your eTrex H with just one hand using five buttons, which are located on either side of eTrex H within easy reach of your fingers. Thanks to its bright yellow case, eTrex H is easy to find in your boat or backpack. And, eTrex H is IPX7 waterproof, so it can take an accidental splash or dunk in the water and still continue to perform. 3)Find It and Go - With eTrex H, your adventure can last and last — up to 17 hours on just 2 AA batteries. While you roam, you can store up to 500 waypoints in memory for easy retrieval. Just enter the point you want to go to, and eTrex H points you to your destination (no street or terrain maps). To get home, use Garmin's exclusive TrackBack® feature to reverse your track log and help you navigate back to your starting point.eTrex H: Lock onto the great outdoors. Looking for Global Positioning System (G.p.s.) ?